Eternal Sunday is an Argentinean music company based in Buenos Aires specialized in releasing local music with the global market in mind. Most of the music released is sung in English. The main music styles include a variety of electronic dance music, electropop/ synthpop, and some pop and guitar-based music like powerpop and indie rock. Eternal Sunday was born as a digital-era company. The label was an absolute pioneer in releasing local music sung in English, something that was considered bold when the label started since most radios only played local music sung in Spanish. The goal of the label was always to serve as a platform for the upcoming new music scene, releasing mostly new, promising artists. The label has 100+ releases, counting albums, EPs and singles. All of them were released digitally and some albums were released as CD’s. 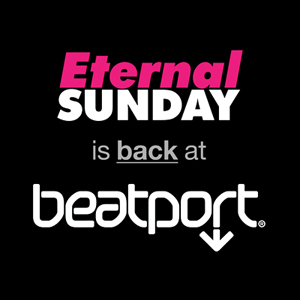 Eternal Sunday has put together an outstanding group of music producers, remixers, session players and performers in order to produce original pop music of the highest quality. Eternal Sunday has a publishing division, Eternal Sunday Publishing, that is currently administered worldwide by Universal Music Publishing Group. The company has a catalog of 300+ music compositions, all of them by Argentinean composers. Part of the catalog has been used on TV and films. Eternal Sunday organizes live music events, being the most important the cycle of concerts Pop For Export in which local bands with songs in English share the stage. In 2013 Eternal Sunday became a member of CAPIF, the Argentinean music industry association for labels, (much like the RIAA in USA or BPI in the UK), next to the most important local music companies, including the major, international labels like Sony Music, Universal and Warner Music. In 2013 Eternal Sunday started a sublabel, ExZentrica, in order to release pop and rock music in Spanish by emergent Argentinean artists. The label has a catalog of 20+ releases, some of them on physical CDs. Every year CAPIF organizes the Premios Gardel/ Gardel Awards. The awards are Argentina’s equivalent of the Grammys or Brits, and are probably South America’s most prestigious music awards. 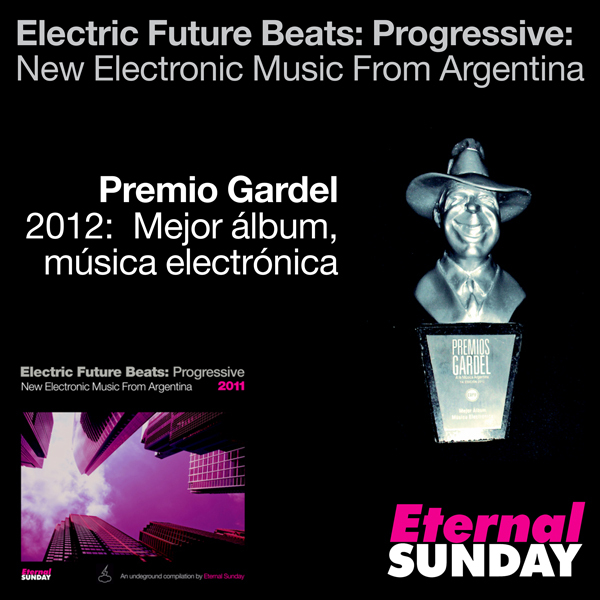 Eternal Sunday releases were nominated 5 times (4 of them for best electronic music album) and took the award home in 2012 for the compilation Electric Future Beats 2011: Progressive: New Electronic Music From Argentina.